What do we love? Microwaves! What do we hate? Cleaning the microwave! Cleaning the microwave is one of my least favorite chores. I mean, it’s right up there with dusting the mini blinds and deep cleaning the baseboards. This simple cleaning hack changed the way I live my life. Okay, that’s a stretch but it does make me smile every time I open my microwave. That works too, right? 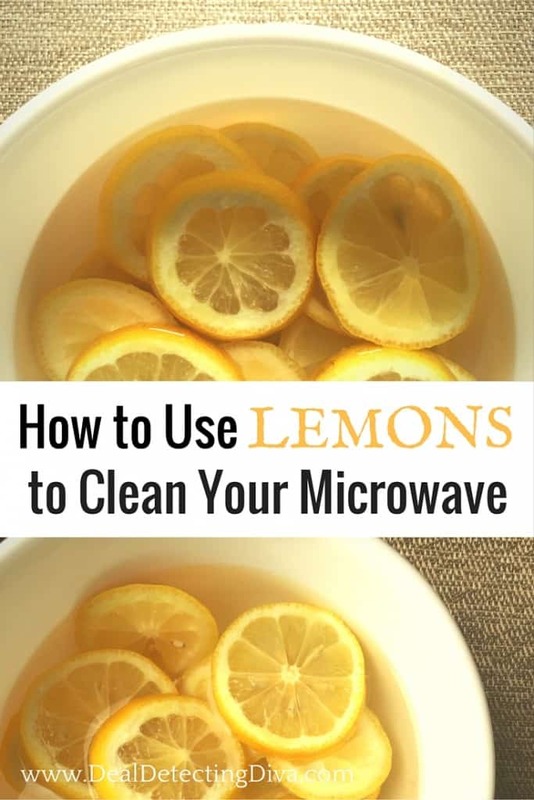 Prepare a bowl of water, then slice your lemons. Add a splash of vinegar and microwave for five minutes. Voila! Yikes! 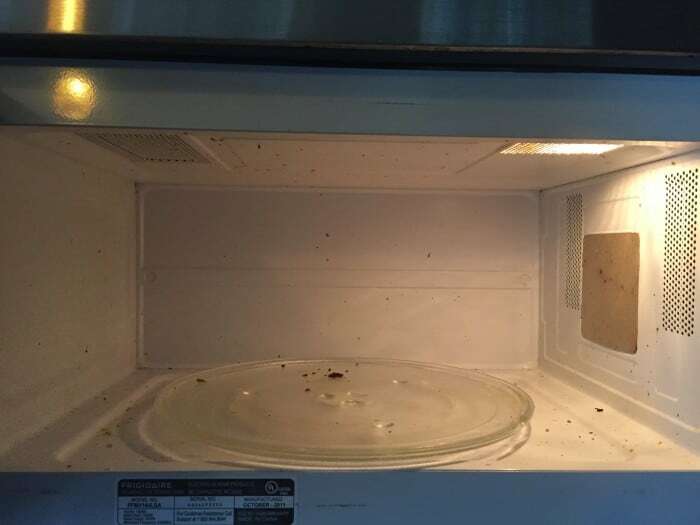 Check out the state of my microwave. Or rather, don’t. 😐 I find solace in the fact that many a microwave hides inner ugliness as well. My microwave is not alone. Instead of therapy, we use lemons. Very little effort – virtually no scrubbing – and BOOM! 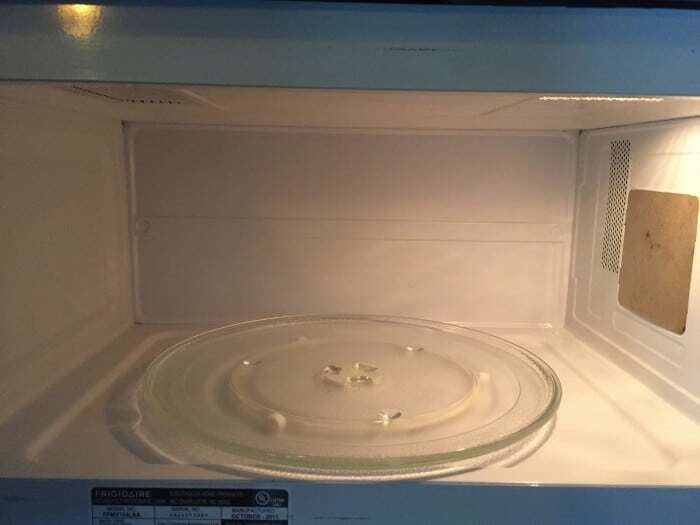 you have a perfectly clean and clean smelling microwave! Note that I did pull the plate out and used a dishrag to get the bits off in the kitchen sink. The gunk on the walls of the microwave sloughed right off with the same washrag. 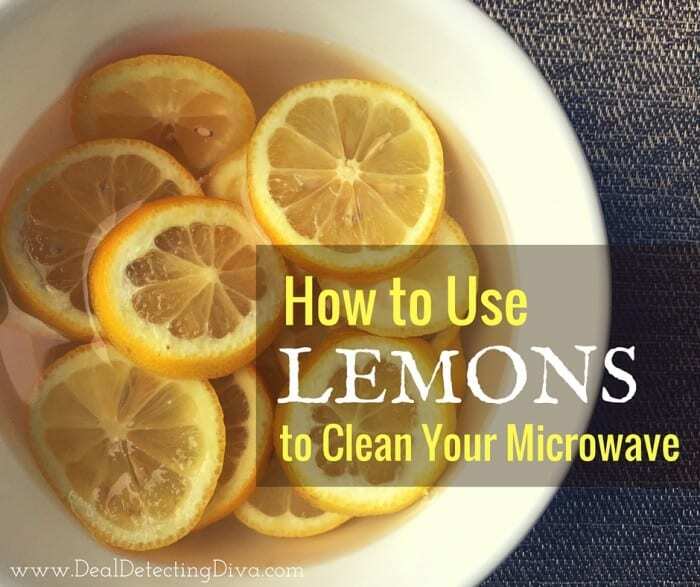 Bonus: when you’re done take the bowl of lemons and throw them down the garbage disposal. Run it for a few seconds and now your garbage disposal smells great too! I buy several lemons every time I head to the store. 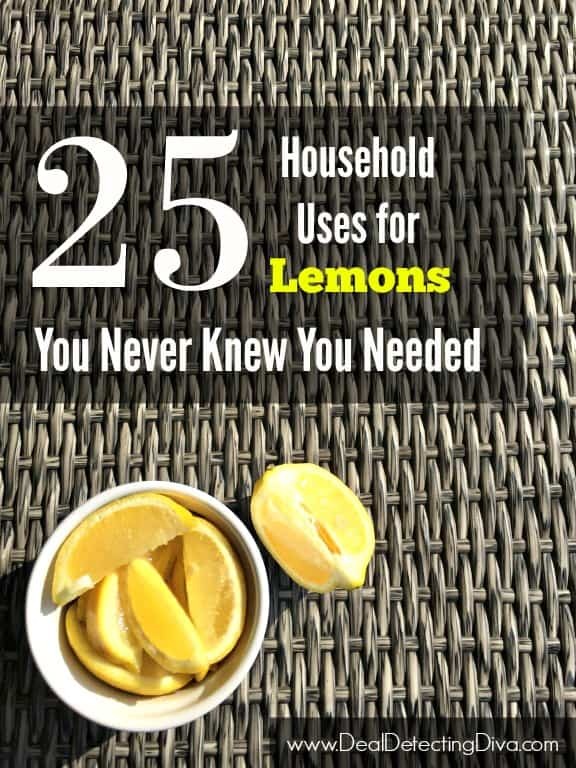 There are over 25 other household uses for lemons that you never knew you needed.